The Egyptian cabinet approved on Wednesday a 214 million euro deal with the European Investment Bank (EIB) aimed at improving sanitation services and the environment for the people living in the Nile Delta region. 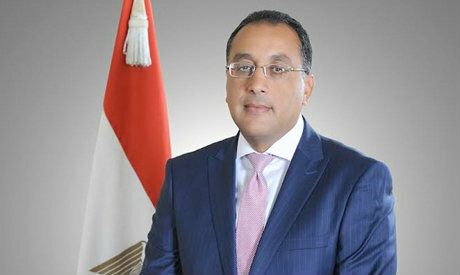 The deal will be used to finance the depollution of the 69 km-long Kitchener Drain, the main agriculture drainage canal spanning across the governorates of Kafr El-Sheikh, Gharbiya and Daqahliya in the Nile Delta region, and which is known to be one of the country's most severely polluted canals. The deal was signed during a visit by Egypt's Investment Minister Sahar Nasr to Luxembourg in October. "The project will contribute to raising the living standards of Egyptians in many governorates," said president of the EIB Werner Hoyer at the signing ceremony, according to a statement by the bank. The project is part of the bank's Economic Resilience Initiative (ERI), which seeks to "improve the resilience of the Egyptian economy and build stronger socio-economic infrastructure." The bank said it this will be the first integrated depollution project in Egypt, comprising investments in wastewater and sanitation, solid waste, and drain rehabilitation. Up to around 6 million people are expected to benefit from improved sanitation and solid waste services as a result of the predicted investments, according to the ERI statement about the project. The European Union is providing a large grant of around 46 million euros through the Neighbourhood Investment Facility to finance investments and technical assistance in the project, while the European Bank for Reconstruction and Development is contributing 148.3 million euros, Egypt's investment ministry said in a statement. The project will involve the rehabilitation and expansion of around 30 sewage plants and the establishment of central sewage collection systems, the ministry added.